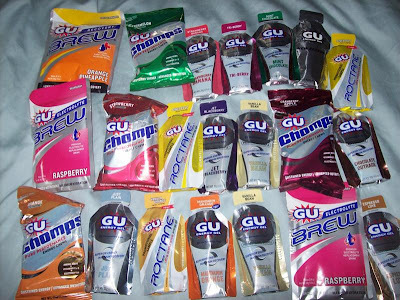 I paired up with Outside PR to review some GU Energy products. I got to try the energy gel, chomps, and brew. These products are great for athletes who need a little extra energy before, during, or after their workout. "Energize: A shot of fast-acting natural fructose (fruit sugar) goes straight to work building your energy levels back up while the maltodextrin is quickly absorbed and sent to your muscles. Vital electrolytes keep your blood chemistry in line and hydration levels stable. Calcium keeps your muscles humming and caffeine adds an extra kick to your power. Sustain: Complex carbs in the form of maltodextrin (70-80% of the complex/simple carbohydrates blend) help you maintain glucose levels over time. Citrates (potassium citrate, sodium citrate and citric acid) help speed the conversion of these carbs into energy molecules and mitigate performance-sapping acid build-up in muscles. Branched chain amino acids (BCAAs) leucine, valine and isoleucine, serve as another fuel source, aid in recovery and can improve mental performance and reduce fatigue by limiting the central nervous system’s production of serotonin. Histidine, an essential amino acid, acts alongside the citrates as a buffer that helps neutralize lactic acid build-up in muscles. Recover: Antioxidant vitamins C & E defend muscles from assault by free radicals. Chamomile works as an anti-inflammatory during and after exercise. Ginger soothes the stomach. Sea salt supplies a host of minerals." As a nutritionist, I see a lot of benefits for these products. I do believe that you only really need them if you are an extreme athlete such as running 10 or more miles. They can help ease recovery which is a major necessity to most people. The energy gel has 100 calories, which is made of all carbohydrates and includes vitamin C, vitamin E and calcium. Also, some of the products have a caffeine in them. The reason is to help give you some energy and help to prolong your workout at a high intensity. My Opinion: My husband has been running a lot so I asked him to sample these products for me. He absolutely loved the chomps and thought that they were comparable to huge fruit snacks! He thought that the energy gel would take a little bit of getting used to because the texture was like nothing else he had tried before. I tried the cranberry apple chomps and really enjoyed those. They are nice and chewy and seem like you are eating candy...any other qualities that this products gives is just a bonus! They tasted awesome too! Thanks GU Energy and Outside PR for sharing your energy products with me! Great write up! I tried Gu several times but the consistency makes me want to gag so I started using the Chomps. Hi there! I'm your newest follower, following you from Tips 4 Green! Found you on the Green Blog Hop!! Great Blog!!! 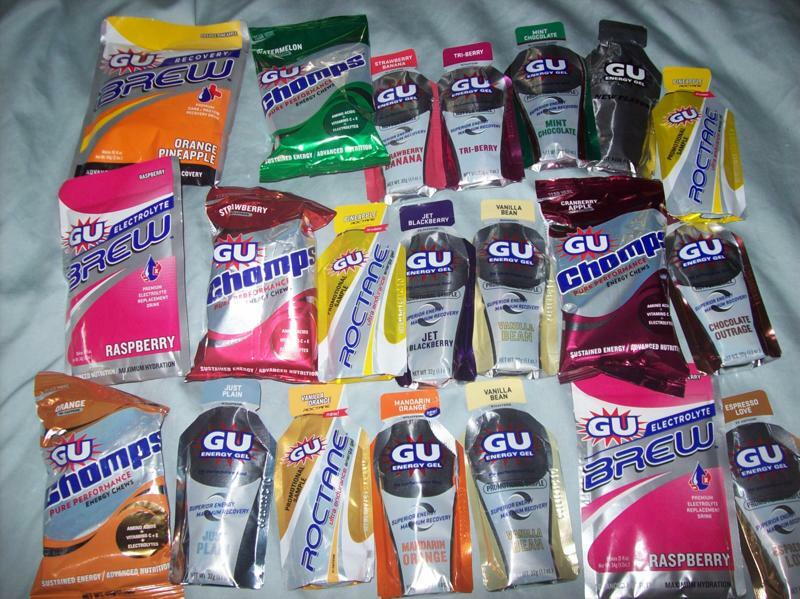 I only used GU once for a duathlon and it was GROSS, but maybe those chomps would be better??! Have to give it a try sometime!! Hello, I'm your newest follower from blog hop, skip, & jump Wednesday. Thanks for finding me. I'm following you now too. I might be interested in doing a giveaway w/ you too. I made rings! Hi! Thanks for stopping by and commenting on my blog! I am your newest follower!! Thanks for linking up with "what's in?" on Honey Pie Accessories! I'm following your blog now! Hi! Following you back. Great blog! Hi Amanda, following you back. have a great day! I would like to try Tri - Berry.